to start off, i folded two pieces of construction paper in half and wrote each of our names on them. then i cut out around the names. once the papers were opened up, it provided the shape that our aliens would be. this was the only part of the activity that was structured. 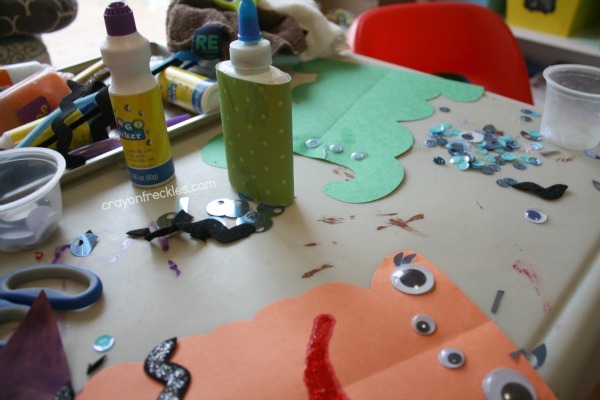 after this, Bear had full control over what materials to use and how to use them. 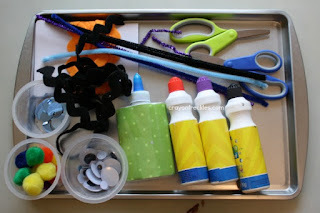 i set out a large tray full of various craft supplies for us to choose from. 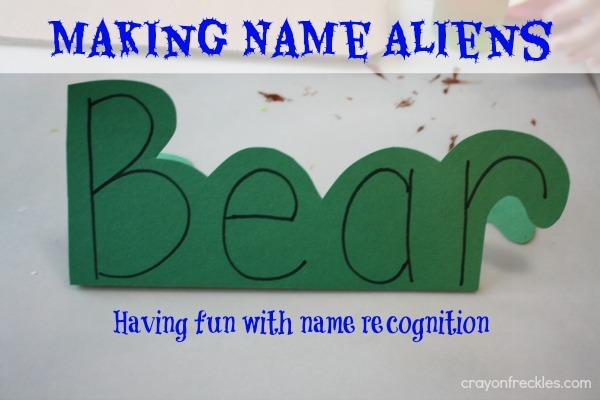 decorating the name aliens was fun for both of us… every now and then i actually make my own version of projects with Bear. for the longest time, i stopped because he strived to make his look just like mine. this only caused frustration for him and a bit of heartbreak for me. once they were done and the glue dried, we put them up in our preschool area. 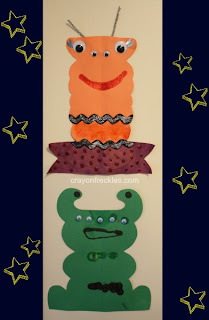 for more space-related activities, check out this Space Monster Math with Playdough post i did at Learn with Play at Home. Those turned out perfect! This is so neat. 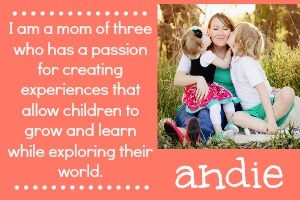 Very creative, Andie! 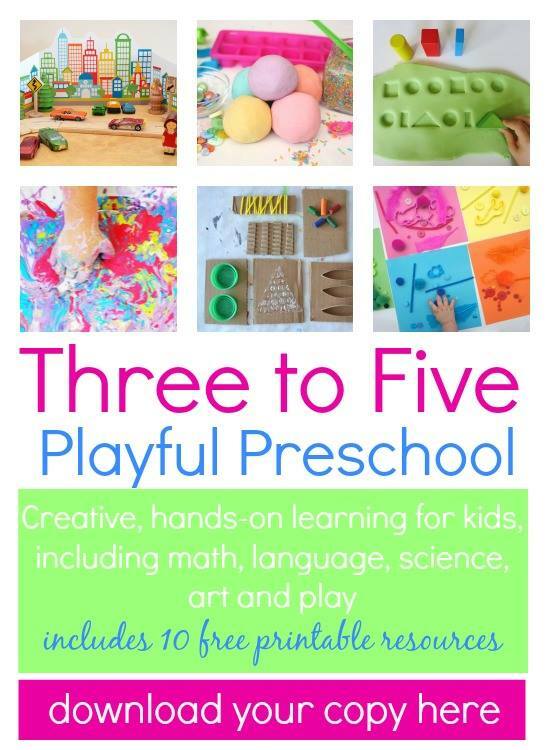 Definitely doing this activity during our "Out of this World" week this summer. So cute!